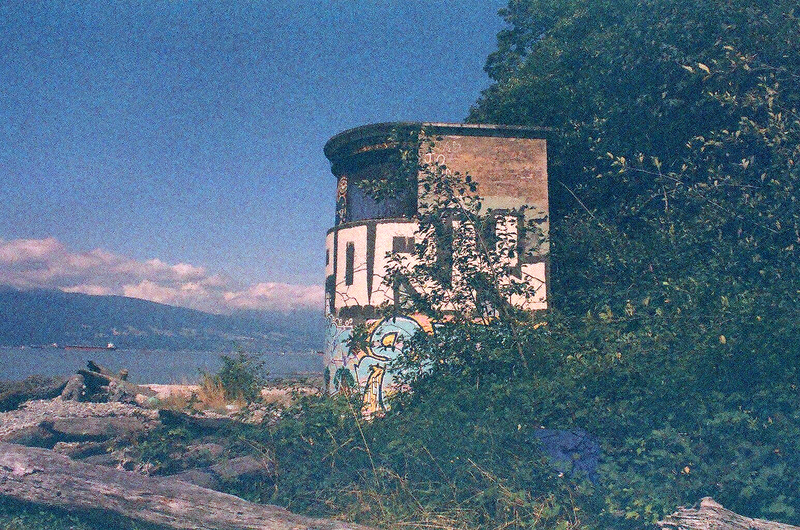 I shot these in July 2014 at Tower Beach in Vancouver. 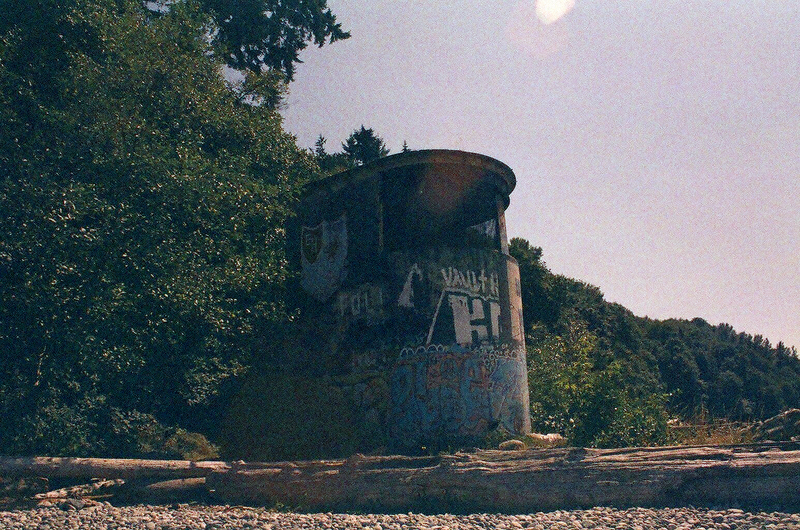 Tower Beach takes its name from the two World War II era searchlight towers that still stand on the beach silently guarding the entrance to Burrard Inlet. The photos below are of Tower #2 aka CASL #9 (Coast Artillery Search Light) which sits further east along the beach from Tower #1 (CASL #10). You can learn more about the towers on Michael Barrick’s website. 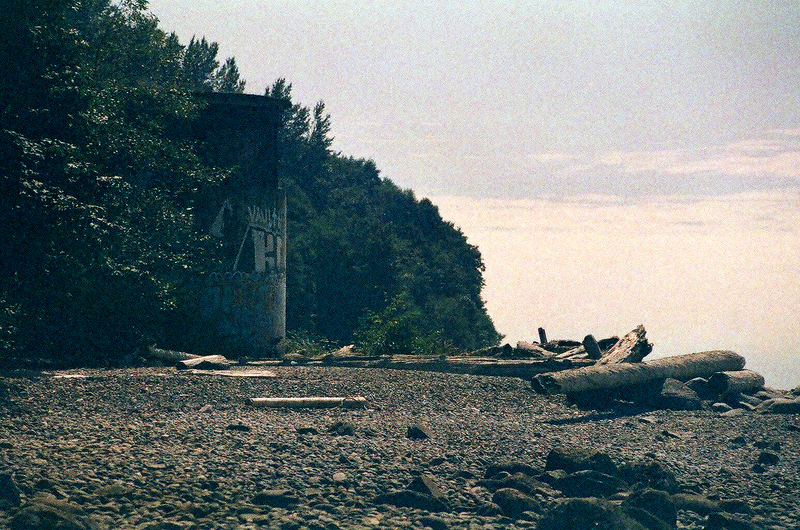 Both towers are accessible from Trail 3 at UBC or by hiking in from either Wreck Beach or from Spanish Banks. The towers are boarded up now for safety reasons, but 20 years ago you could still access the inside. Back then, a friend and I hiked down to Tower Beach to explore the towers and we discovered a log propped up against the back of one of the towers leading to the second story entrance. We scaled the log to the top and went inside. From inside there is an unobstructed view of the harbour, which has since been covered up by a metal grate across the front. The moorings in the floor where the searchlights were mounted could still be seen, albeit they were thoroughly rusted. It was quite the experience, and while I understand why they are boarded up now, a part of me still feels that the towers should be open to the public. After all, they are a part of history. 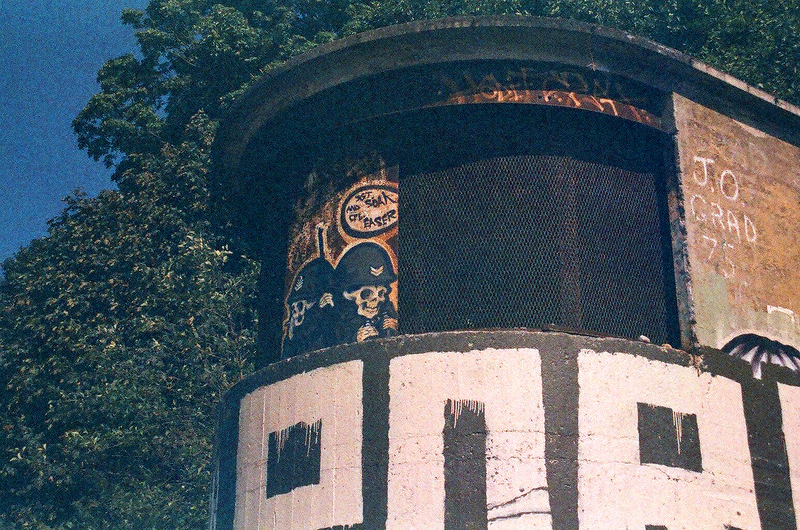 I shot these photos on an expired roll of Kodak Ektachrome 200 that I had cross-processed. #304. Tower #2. Kodak Ektachrome 200 (cross-processed), Canon Rebel 2000. #305. Tower #2. Kodak Ektachrome 200 (cross-processed), Canon Rebel 2000. #306. Tower #2. Kodak Ektachrome 200 (cross-processed), Canon Rebel 2000. #307. Tower #2. Kodak Ektachrome 200 (cross-processed), Canon Rebel 2000. #308. Tower #2. 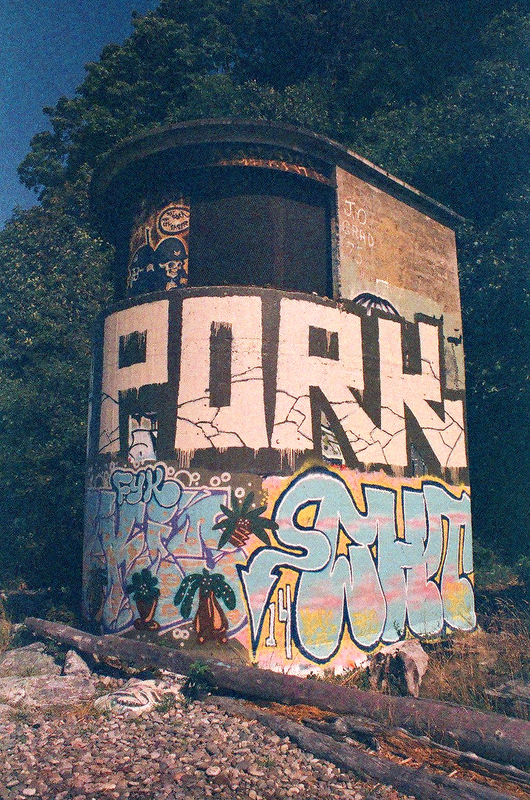 Kodak Ektachrome 200 (cross-processed), Canon Rebel 2000.